To celebrate Canterbury’s annual Medieval Pageant this month, The King’s Mile jewellery shop Ortwin Thyssen will be hosting a hands-on Medieval jewellery style making workshop. 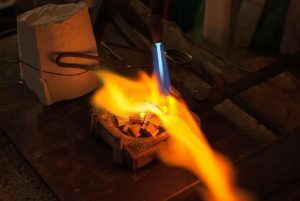 Explore medieval style jewellery making, following Canterbury’s heritage in fine craftwork spanning over a thousand years. Come and take advantage of having personal hands on experience in the workshop. Where you can also catch a glimpse of Ortwin, demonstrating medieval jewellery making techniques at the bench.